This entry was posted in Uncategorized and tagged Christmas, common ground, purple ground. Bookmark the permalink. I agree with Chris that Christmas should not be politicized. Faith is a very personal thing, we should never be forced to hide it, nor should we force others to share it. I had a thought though. When I was in high school I was part of a group of carolers that went caroling from classroom to classroom. I wonder if today we would be told that we could only sing secular Christmas songs? I have no idea. I just know that when I was in high school it wasn’t an issue. We sang Jingle Bells and Silent night and nobody complained. My grand advice to those getting all flustered on both sides of the sometimes war over the Christ in Christmas: chill out and celebrate the holiday (or not) in whatever way brings you joy. Christ died not to force people into accepting Him, but to love people into accepting Him. Shouldn’t Christians follow his example? And to those offended by the Christmas tree in the lobby of the post office: really? 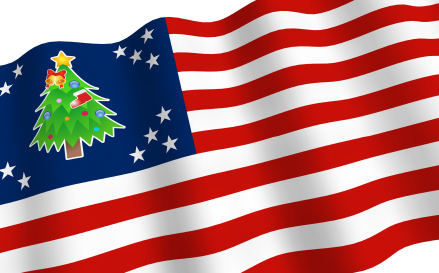 If displays of Christmas offend you, you are probably going to be miserable in a country where 92% of Americans celebrate Christmas and 2/3 of those consider it a religious holiday.